Bay Area Rapid Transit (BART) is considering adding televisions to their trains and platforms, which would show 20 minutes of advertising per hour. 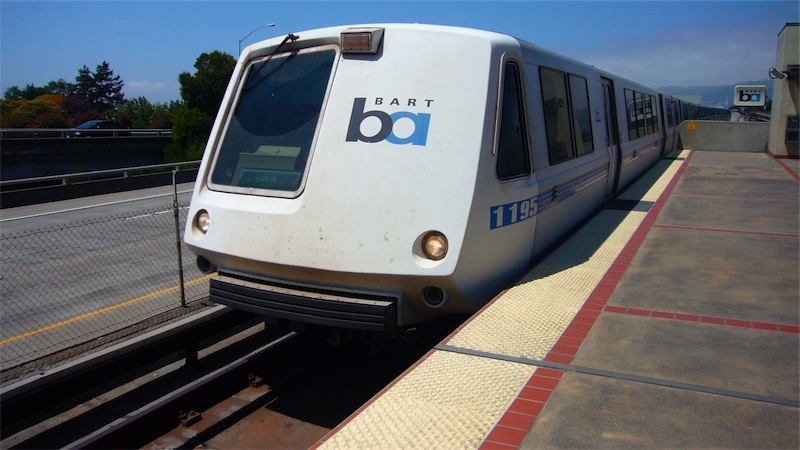 The article mentions the advertising becoming a source of revenue for transit, although BART has a surplus this year, and according to BARTs estimates the additional revenue would, at best, be .01% of the annual budget. Commercial Alert, a non-profit watchdog of commercial culture, is running a campaign in which you can send email to all the Bart Commissioners letting them know what you think of the proposal. As a long time Bay Area resident I had to chime in and let them know I wouldn’t want to be captive audience for advertising on public transportation. This entry was posted in News and tagged ad creep, public space. Bookmark the permalink. Post a comment or leave a trackback: Trackback URL. That’s a grea little program that automatically sends the emails! I think it’s way more effective!